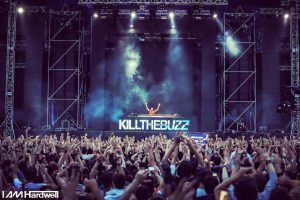 RIO DE JANEIRO, BRAZIL – Up-and-coming Dutch DJ and producer Kill the Buzz will perform as part of the lineup during the Rio Music Carnival festival’s final night, February 9th. Currently touring with fellow Dutch DJ, Hardwell and one of the artists on Hardwell’s Reveal Recordings label, Kill the Buzz recently took a moment to speak with The Rio Times via email about his career and his thoughts on his upcoming show. DJ Kill the Buzz will perform as part of the Rio Music Carnival festival’s lineup on February 9th, press image. The Rio Music Carnival is part of the Rio Music Conference, and runs concurrently with the main celebrations of Carnival on February 5th, 6th, 7th, 8th, and 9th. 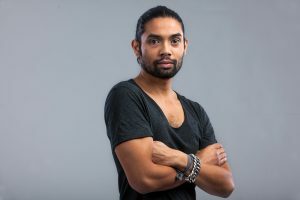 No stranger to the city, Kill the Buzz was last in Rio de Janeiro when he joined Hardwell in December 2014 as part of the Go Hardwell or Go Home tour. Once again touring together, Kill the Buzz will perform before Hardwell on the 9th. Kill the Buzz performing in Istanbul, photo by Floris Heuer, press image. Kill the Buzz had originally entered the world of music when he began playing the keyboard at age ten. At the age of fourteen, he began exploring digital music production. When: Kill the Buzz show – February 9th. Festival Rio Music Carnival – February 5th through February 9th, Rio Music Conference – January 27th through February 9th. Where: Festival Rio Music Carnival, Av Infante Dom Henrique, s/n Marina da Glória. Entrance: R$90 + for Rio Music Carnival shows. Packages are available. See more information on the website and here for the Rio Music Carnival.